…or an excuse to write about my cool new phone. I got a new phone this past week. One which I think is really cool, but before I talk about it, I want stroll through the previous cell phones I’ve owned. Almost nine years ago, my wife and I bought a pair of cell phones. These were our first phones, and the excuse to get them was that my wife was pregnant with our first child at the time. We thought it might be useful to have cell phones so she could get a hold of me if or when something was up. The phones were pretty minimal – some Motorola cheap phone from Verizon that I can’t even find a photo of on the net now. They were really reliable and Verizon’s network is really good here in central Ohio, except for one area – our house. We hardly get a signal and if we do get a call started, it usually drops out. A few years later, after I had gotten into .Net development, it was time to get new phones. My wife wanted something smaller and I wanted something I could write .Net apps for. After some searching, I got an Audiovox Thera on closeout from Tiger Direct. 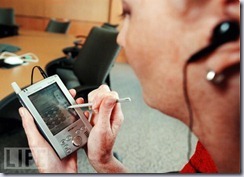 The Thera was a Windows PocketPC phone, running PocketPC 2002. I could load the .Net Compact Framework v1.0 on it and build apps. I could also sync the calendar/contacts to my Mac using Missing Sync. It didn’t have a data plan, but that was alright. It was a good PocketPC, but a horrible phone. It was hard to dial without looking at the screen, because there were no buttons to feel – just the flat screen. Talking on the phone was difficult without the wired ear plug, because it would act like a speaker phone. I built an app that I used to track my gas mileage, but that was about it. I lived with it for about three years before upgrading to my next phone. My next phone was a used Samsung i730. A couple of the guys at work at these phones and I thought they were pretty good. 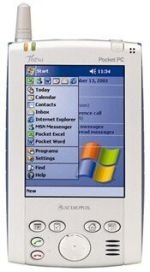 It had built in WiFi, blue tooth, a slide out keyboard, and most importantly, ran Windows Mobile 5, so I was able to build apps for it. Again, the only one I built was an upgraded version of my gas mileage tracker. These phones are now considered pretty thick and they have an antique looking antenna that can slide out even further. The keyboard is pretty small and so is the screen. So, fast forward another three years and I get a promotion at work. More importantly, I get a promotion at work and now work is going to pay my cell phone bill! 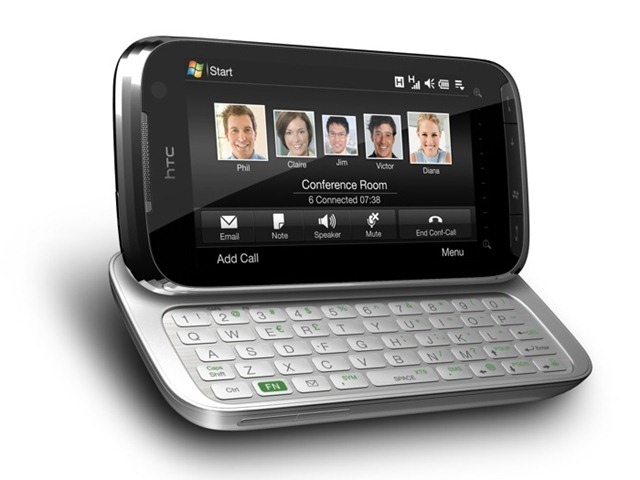 So, now I am the proud new owner of an HTC Touch Pro 2 on T-Mobile. It arrived last week and I am really impressed. 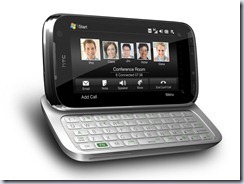 It is running Windows Mobile 6.5 with a touch interface. It has 3G and WiFi and most importantly – I have a good cell signal at my house! It don’t have 3G coverage, but it does have edge at my house, which doesn’t matter too much since I can use my wifi connection instead. It’s got a camera which can take both still and videos. It has GPS and Google maps. It has the weather. It has a Bing app, with maps, gas prices, search. All very cool stuff. Having the data plan has really opened up what I can do with the phone. I’ve got it configured to connect to my work email and Gmail, as well as Facebook and Twitter. I’m looking forward to using it when I travel too. At some point, I’ll also get to write another gas mileage app….